So Ford is replacing Microsoft's in-car infotainment platform and replacing it with QNX. Several of the comments to the Slashdot article are complaining about the lack of dedicated knobs and buttons. That complaint echos those I hear from those that don't want to do SDR, because they want knobs and not a mouse. 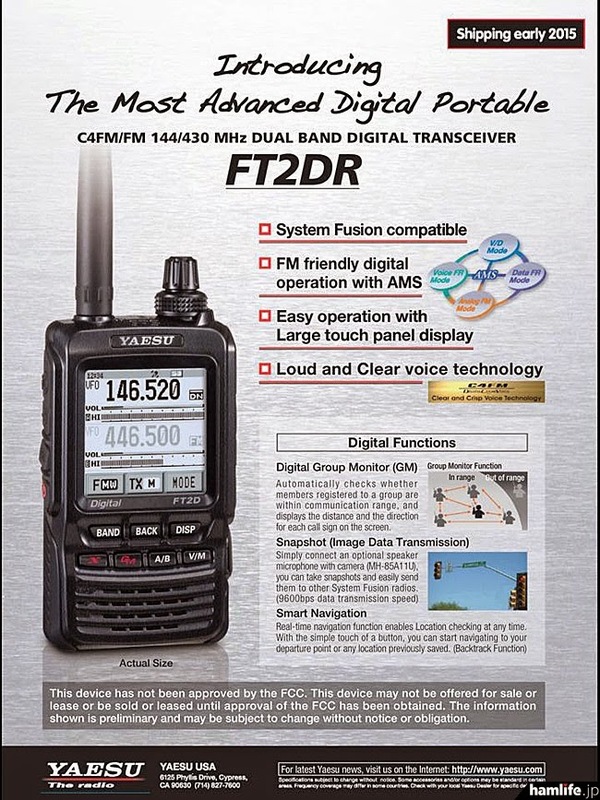 Makes me wonder what the response will be to the Yaesu FT2DR touchscreen HT. Universal Radio shows a list price of $640, so you know how interested I'll be. "With Windows 10, however, we are finally getting an official package manager: OneGet. In the current build of Windows 10 Technical Preview, you can open up PowerShell and use OneGet to install thousands of applications with commands such as Find-Package VLCand Install-Package Firefox." I'm not sure why the article says this is to the lament of Linux users. So the question is, "Will Apple's next hit be a Microsoft Surface Pro clone?" Sure, just slap a touch screen on the MacBook Air. Random comment... I love Group Policy. It is a wonderful tool for lazy admins. I had to install Skype to test something for my consulting. I told it not to start with Windows. It still does. Bye, bye Skype. Lame. Free Microsoft eBooks - a ton of them! "Largest collection of FREE Microsoft eBooks ever, including: Windows 8.1, Windows 8, Windows 7, Office 2013, Office 365, Office 2010, SharePoint 2013, Dynamics CRM, PowerShell, Exchange Server, Lync 2013, System Center, Azure, Cloud, SQL Server, and much more!" I may have downloaded a few. I can't wait to see how Google, Dropbox, etc. respond! Since none of you are migrating away from XP, here is the hack to keep getting patches from Microsoft for it. So using this idea, setup a rule for a "friend" in their Outlook when they are away from their desk. Have it trigger on some common e-mail they get frequently. Hilarity and a fist fight ensue. It used to be Macs in the computer labs in elementary schools - trying to buy mind share while we were young. Microsoft is offering a free Bing search to schools with no ads and content filtering. Looks like a handy tool. I've used various recovery discs including those based on Windows PE. "You know Windows Defender. It's been built into Windows since (if memory serves) Vista. It fought spyware in Vista and Windows 7, and then Microsoft expanded its focus to include regular old virus-y malware in Windows 8/8.1. It's a perfectly nice in-the-box tool, but like all anti-malware tools, it hasn't a chance to detect the strains of malware designed to hide themselves in plain site, malware with a kind of "cloaking device" wherein the malware modifies the operating system so that scanning an infected file just turns up a "nope, no malware, nobody but us chickens in here!" report. And if you're on this mailing list, the chances are very good that you know that we call such hard-to-detect malware "rootkits." Invisible malware like rootkits sounds dire, but given that they can only remain invisible while the infected OS is running, there's an obvious way to find them -- run the malware scanner under another, uninfected OS. One way to do that would be to physically remove the boot hard disk of the machine in question, plug it into an uninfected machine and scan the questionable drive, but that's a lot of work. 3) I've just noticed that the Defender Offline page says that you need a newer version, a Windows Defender Offline beta, to run it on Windows 8.1 systems. I'm fairly certain that I've run Defender Offline on my 8.1 systems, but if Microsoft says you need the beta, I guess you should get it for 8.1 and presumably 2012R2." Looks like I got passed over again.